ICAR AIEEA 2019 Application Form has been Released on 1st April 2019. 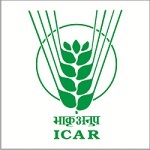 ICAR AIEEA is referred to as Indian Council of Agricultural Research the All India Entrance Examination for Admission. This exam is conducted by NTA (National Testing Agency). AIEEA 2019 entrance exam for UG and PG is conducted for undergraduate and postgraduate admissions including PG Scholarship. AICE-JRF/SRF (PGS) is conducted by ICAR for the admission to Ph.D. courses. For bachelor degree programmes (B.Scag./ B.Tech/B.F.Sc, etc) Candidates, 15% seats are filled through in Agricultural Universities (AUs through ICAR AIEEA UG exam. candidates will be awarded National Talent Scholarships (NTS) who take admission outside their state of domicile through this entrance exam. In this article, candidates can check the complete details regarding ICAR AIEEA 2019 includes Application Form & Fees, Eligibility Criteria, Exam Dates and How to Apply. ICAR AIEEA 2019 Application Form has been Released now for UG Courses. Click Here to Apply. ICAR AIEEA 2019 Application Form has been Released now for PG Courses. Click Here to Apply. 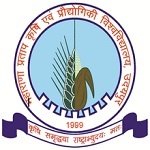 ICAR AIEEA 2019 Online Application Form has been Released on 1st April 2019 and the last date for submission of online application form is 30th April 2019. ICAR AIEEA 2019 Application Form has been Released on 1st April 2019. Upload the scanned copy of the signature, photograph, and thumb impression (his left/ her right hand) after filling the online application form. There is required to submit any mark sheet/certificate along with the application. Candidates must keep the printout of the computer generated confirmation page. Candidates are informed that after the form submission correction can be made. 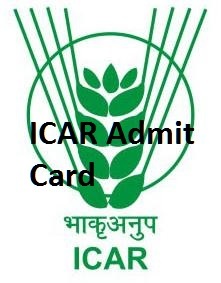 There is no need to send hard Copies of Application to ICAR Office. ICAR AIEEA application form fees 2019 can be paid by using Credit/Debit card or Net Banking. There is no offline mode made available to pay ICAR AIEEA 2019 application fees. Application fee can be paid by credit card/debit card using net banking of Canara Bank. Applicants also have the option to pay the fee through NEFT/bank challan of State Bank of Bikaner and Jaipur (SBBJ). Check the full ICAR AIEEA 2019 eligibility criteria, candidates have to fulfill full criteria to be eligible to apply for AIEEA UG and AIEEA PG. All candidates should meet all the eligibility conditions as prescribed by the authority to be eligible for the ICAR AIEEA entrance examination. Nationality: Applicant must be an Indian national. Age Criteria: Age of the candidate must be 16 years as on 31st August 2019. Qualifying Examination: Minimum qualification required is 10+2 from a recognized board. The last two years of 10+2 should be studied with Physics, Chemistry and any one of the subjects amongst Biology/ Mathematics/ Agriculture. Minimum Marks: The qualifying examination should be passed with not less than 50% aggregate marks for General, OBC, and UPS (40% aggregate marks for SC, ST and PC categories). Appearing Candidates: Candidates appearing the qualifying examination are also eligible to apply. Age Criteria: The lower age limit is 19 years as on 31st August 2019. Qualifying Examination: Bachelor’s degree in a respective field from a recognized institution (under the pattern of 10+2+5 (B.V. Sc. & A.H.), 10+2+4 and 10+6 years). Those candidates who have passed a bachelor’s degree in the pattern of 10+2+3 can only apply for IARI Pusa and NDRI Karnal in some courses. Appearing Candidates: Final year graduation appearing candidates may also apply. Minimum Marks: In graduation, candidates should not have marks less than 60% (50% for SC/ST/PC categories). Candidates who are willing to apply should know the ICAR AIEEA 2019 for UG and PG courses important dates. Check all updates related to ICAR AIEEA 2019 on the official portal on online mode. Here, candidates can check the complete procedure of how to fill the ICAR AIEEA application form. Navigate official website link (link is given above). Click on ‘New Registration/Login’ link. Now, click on “Proceed for Registration” button. The application form is opened on the computer screen. Now, you have to select the course, i.e. “AIEEA UG 2019, AIEEA PG 2019& AICE-JRF/SRF(PGS) 2019”. Fill your basic details such as name, father’s name, mother’s name, gender, category, date of birth, ID proof, mobile number, email ID, etc. After filling all details, click on the “Save & Proceed” button. After click on Save & Proceed Button, a confirm the in page will appear to re-check your details before proceeding further. Click on Edit Button if some changes required in given details. Click on Save & Proceed Button to move to proceed further. After Clicking on Save & Proceed button, User ID and Password will be displayed. Click ok Button, Student Dashboard will Appears. Complete the remaining Registration process i.e. Fill the Address details and Centre Choice. After Filing the details of Complete Page, then Click on Save & Proceed Button. After Clicking on Save & Proceed Button, Click on “Add Qualification” link. Fill your qualification details & click on Save & Proceed Button. Upload your recent colored photograph with name & date, signature, Thumb impression (his left/ her right hand), Father’s/mother’s/guardian’s signature and Declaration in his/her handwriting in the prescribed format. Click on Check you Image Size to check your Image whether it’s up to the format & size. After successfully Uploading the Images, Click on Return Page to back to the dashboard and proceed for payment section. After submitting all details, click on Pay participation fee to complete the payment for the registration form. Select payment option and fill payment details. You can choose credit card or debit card. Click on the ‘Pay’ button. Preview your application form carefully and click on the “Submit” button. Take the printout of the completely filled application form. Take extra printouts of it and keep it for future references. I am poor family student. 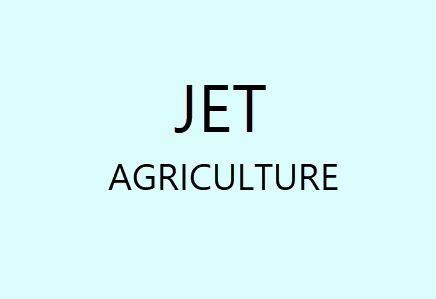 But I am jet and icar coaching do. please sir my help.